On a moonlit night, when all is still, how can any earthly person explain the sound of horses' hooves and the metal rims of wheels turning on the rough cobbles of the courtyard? Yet there is no-one to be seen! Who can explain the uneasy footsteps heard pacing the corridors in the dead of night? Who is the strange man in a tricorne hat and cloak who appears and then walks through solid doors? Previous managers of Jamaica Inn have heard footsteps and conversations uttered in a foreign tongue. Could this be the Cornish language? For years there have been many stories of hauntings at Jamaica Inn and recently the Ghost Society has made in-depth investigations and compiled a report based on their findings. The areas of substantial interest to the investigation were, The Smuggler's Bar, The Stable Bar, The Restaurant and upstairs in Bedroom Four. 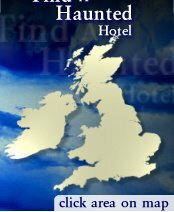 This extra special, WeekendHaunts event will begin with your arrival at Jamaica Inn on Saturday early in the afternoon. Take some time exploring the area or relax in the lovely surrounds of Jamaica Inn. Alternatively you can take part in our Psychic Workshop where you will learn, amongst other things, about spirit guides and mediumship and you will be able to use the skills you have learned later that night. If you're looking for thrilling haunted break, then join us on this one night WeekendHaunts event at the infamous Jamaica Inn. The Price for this extra special WeekendHaunt including Dinner, Bed and Breakfast for one night, psychic entertainment and full paranormal investigation is £169 per person... We only require 20% deposit to reserve your place - Simply click the 'Buy Now' button to book.